The healthcare system in Puglia is mainly public. There are also some private structures that contribute to the delivery of care and formally cooperate with the public system so that citizens can access these services on the same rules as applied for the public services. In the recent two years, there is an undergoing major re-organisaiton of the healthcare system. At the moment the healthcare service delivery is organised as follow: 49 districts gathered in 6 Local Health Authorities which include 31 Integrated Health Community Centres; 5 second level hospitals (average 825 beds), 16 first level hospitals (average 299 beds) and 12 basic hospitals (average 127 beds). Hospitals include 2 Hospital Trusts and 2 Research Hospitals. Since 2004, Puglia has started introducing the Integrated Care Model to improve the disease and care management of chronic patients. The Model is now at its 3.0 revision and is based on the vertical integration among professionals and among different care settings (hospital and territory). This implies the definition of specific healthcare pathways for pathology, promotion of patient empowerment, co-creation of digital systems to support the delivery of care to citizens and facilitate communications among professionals, and a better control of resources and more appropriate setting for care delivery. To reflect the different levels of the regional healthcare system (macro, meso and micro) in Puglia, a diverse profile of stakeholders was invited to participate in the self-assessment process, ranging from the representatives of health and social care, citizen’s rights representative, General Practitioner, Regional Healthcare Manager and other. 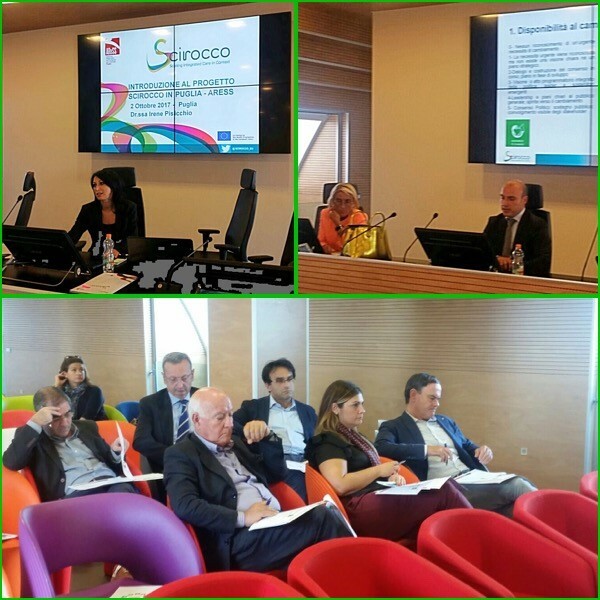 All stakeholders were invited to complete the online self-assessment survey to provide their individual perceptions on the progress of integrated care in Puglia, using the SCIROCCO tool. The outcomes of these individual surveys were captured in the form of spider diagrams, highlighting Puglia’ strengths and weaknesses in integrated care. The following spider diagrams illustrate the perceptions of some stakeholders on the progress towards integrated care in the Puglia region. Regional managers and clinicians tend to score higher on the maturity progress more than citizens’ representative. This can be explained by the fact that some services (e.g. provision of information on care) are not easily accessible to the citizens. The outcomes of the self-assessment survey provided the basis for the discussion of stakeholders with the objective to reach the consensus on the current state of art in integrated care in Puglia. Looking at the overall consensus diagram, the level of maturity of health care system in Puglia is medium to high. Major strengths include Capacity-building, Structure and Governance and Finance and Funding. Puglia’s self-assessment outcomes and local context for integrated care are coherent with the peer-assessment conducted by the European Commission which awarded Puglia as a 2 stars Reference Site in the European Innovation Partnership on Active and Healthy Ageing. In contrast, the areas of eHealth services, Population Approach and Citizen Empowerment remain to be a challenge for Puglia Region. There are some specific factors in the Puglia Region that need to be taken into account to understand its strengths and weaknesses in integrated care, particularly in relation to the domains with lower maturity. The Puglia region has invested considerable resources for the chronic care in the recent years. However, the use of new technologies often clashes with a cultural and infrastructure gap. For example, the telemedicine services have not been provided across the region uniformly. These services are available only in some health districts which creates further disparities and inequalities among the service users. To read more about the self-assessment process and outcomes in the Puglia Region assess here the full self assessment report for Puglia. Health care Regional Manager: “The SCIROCCO tool is useful to drive discussions during brainstorming: sometimes in meetings it is easy to miss the focus”. It also provided a clear vision of the strengths and weaknesses of the Regional Context. If used properly, it is an extraordinary participatory policy tool”. Social Welfare Regional Manager: “The SCIROCCO tool could also be used in the validation of other regional policies, not just those related to chronicity”.